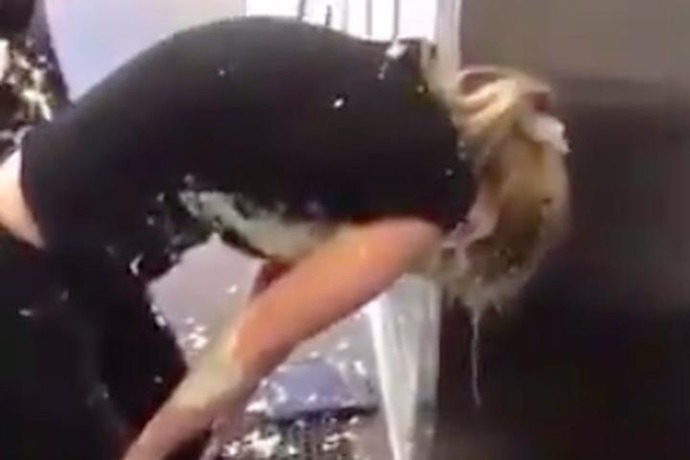 A video of a woman accidentally spilling a giant tub of ranch is bringing Twitter users together to share different stories of their own disasters. It all started when Twitter user @BorboaGrant shared video of a coworker's spectacular spill of 22 quarts of ranch. That clip inspired others to share their own videos of spills caught on camera. The result? Perhaps the greatest thread in Twitter history, and I'm only being slightly hyperbolic. The thread is full of more spills and thrills from restaurants all over the world and is well worth perusing. But perhaps the most commonly used video is a classic clip from The Office where in Kevin spills a giant vat of chili.